Edinburgh University’s Swimming and Water Polo Club enjoyed tremendous success at the Sports Union Ball on Thursday 26th January, winning the Most Outstanding Club of the Year Award alongside Orienteering Club. The Award reflects the consistency of the Club’s effort and commitment at all levels to acheive success. There is no better example of this than the women’s water polo second team triumph recently in Glasgow. The girls travelled to Glasgow University on Wednesday 25th January to play their second BUCS fixture of the season. After a gutting 18-3 defeat against St. Andrews – a team which rival the women’s first team – the meeting with Glasgow carried with it a test of will and fighting spirit. With captain and goalkeeper, Siobhan Walshe, out with an injury, the girls were faced with an added challenge. Coach Derek Docherty explained how the girls prepared for the difficult match ahead; ‘In our team talk prior to the game we talked more about how to play in the shallow end than the tactics for the game. I knew our girls had improved and had been training well. We got Aileen Stirling and Zoe McQueen to take turns in goals.’ Edinburgh started the game shooting into the deep end of the pool, giving them the upper hand going into the first quarter. Nevertheless with Stirling and McQueen new to goalkeeping and defending the goals in the shallow end, the team needed to defend tightly in order to prevent putting too much pressure on the keeper. Edinburgh got off to a superb start, with Emily Docherty scoring the first goal, followed two minutes later with a goal from Jenn Davis. Moving in to the second period the girls had to adjust to shooting in the shallow end of the pool. Adjust they did, scoring three goals without reply and reducing Glasgow to only a couple of shots with an effective defensive strategy. The period ended 5-2 to Edinburgh, with goals from Lizzie Sparks, Iona Campbell and Jenn Davis. The third period proved much closer, with a goal a-piece for both teams, bring the score to 6-3 going into the final quarter. Glasgow, desperate to turn the game round, changed tactics to full press. The Edinburgh girls had not played this way before and found it difficult to move into space in order to receive a pass. This allowed Glasgow to score three goals in quick succession, bringing the score to a draw at 6 all. With pressure raining down thick and fast, and tiredness setting in, Edinburgh were in a dangerous position as the game came to its conclusion. Docherty called a timeout, regrouping the team and encouraging the girls to not give up: ‘we can still win this game’ he told them confidently. With poolside leadership from Walshe and Docherty, as well as support from the subs, the girls managed to hold their own and dig deep to give Glasgow a hard time in the pool. A shot from Lisa Rendall hit the post and went wide; whilst the players thought the ball was going out and stopped, Campbell swam and regained possession of the ball. Rendall, sure not to miss this time, received a pass from Campbell and scored a blazing cross cage shot on goal. With thirty seconds remaining in the game, the girls had to use the buzz from the last goal to keep Glasgow at bay. Despite a couple of shots from Glasgow, Edinburgh finished 7-6 winners, keeping their BUCS campaign alive. Coach Docherty had this to say; ‘What a great team effort and good defensive performance. Especially thanks to our stand in goalies and to Lisa, Jenn and Iona who played all the game.’ With a team made predominantly of newcomers to water polo, the result is a testament to the hardwork and dedication exhibited by players and coaches. 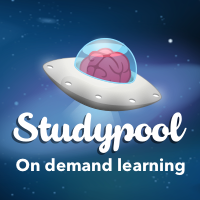 EUSWPC is sponsored by Studypool, a leader in on-demand learning.